Under Saddam Hussein, Christians in Iraq were around a million. Today, more than half have fled, living as refugees in other countries, in particular Syria and Jordan. Those who are left behind feel betrayed and abandoned by the government and the international community, with only one desire, to be able to live and worship in peace. 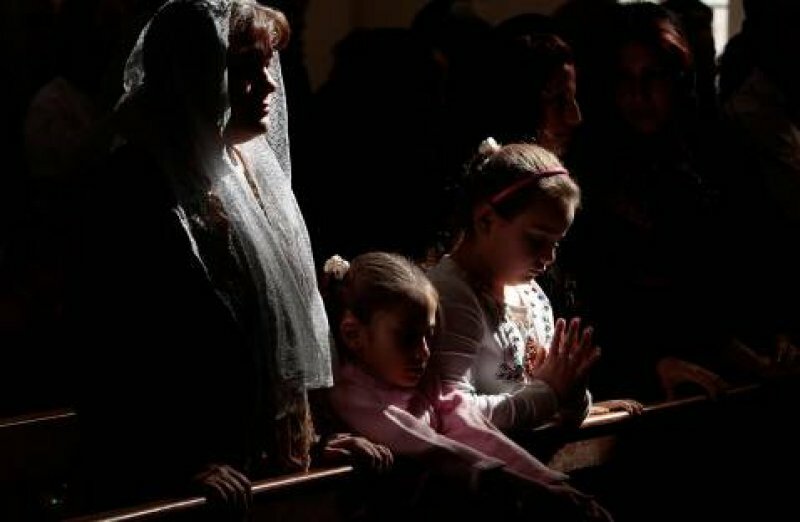 Birmingham (AsiaNews) – “There is now a real danger that Christians in the Middle East, and in Iraq in particular, of being exterminated, due to both persecution and large-scale emigration,” this according to Dr Joseph Seferta, an Iraqi-born Chaldean Catholic living in Birmingham, Britain, where he is a member of the Commission for Inter-faith Dialogue of the Archdiocese of Birmingham. He gave an exclusive interview to AsiaNews about the difficult situation Christians face in Iraq and across the Middle East. Here it is. “I belong to the Chaldean Catholic Church, which makes up the majority of Christians in Iraq. Others include Assyrians, as well Syrian, Armenian and Byzantine Christians, both Catholic and Orthodox. Christians under Saddam Hussein totalled some one million, but now only half that number remains in the country, the rest having fled and are living as refugees, particularly in Syria and Jordan. The atrocity committed by Muslim fanatics, which resulted in dozens of Syrian Catholics dead and dozens of others wounded, was a big blow to the struggling Christian minority. It has been followed by other assassinations of Christians in their homes and shops. All these fanatics (known by various names) in the Middle East and other Muslim-majority countries, are bent on imposing Shari'a and running Islamic states that have no place for Christians in them. Christians in the Middle East, of course, predate Muslims by hundreds of years and go back to Apostolic Times. Since the 7th Century Islamic conquest, they have been made second-class citizens with hardly any rights at all. They have undergone many waves of persecution, which have greatly reduced their numbers and influence. They suffer prejudice and discrimination on a daily basis, while Muslim minorities here in the West enjoy full rights and have built hundreds of mosques. Tragically, Iraq's Christians had nothing to do with the American invasion, but they always wrongly get accused of siding with the "Christian" West. Now they feel both isolated and betrayed by their own government as well as the international community. They have always been model citizens, serving their country in every field, and their only desire is to be left alone to live and worship in peace. But they have become a soft target for extremists. There is now a real danger that Christians in the Middle East and in Iraq in particular, of being exterminated, due to both persecution and large-scale emigration, unless something is done urgently to stem the tide and save them. Too many cannot bear their suffering any longer and are sick and tired of waiting for someone to come to their aid. People either do not know or do not seem to care about them. Even the recent Middle East Synod convoked by the Holy Father was a disappointment, due to lack of both unity and courage. It is now high time that the United Nations seriously tackle this huge problem, for otherwise we will end up with the catastrophe of an Iraq and even a Middle East devoid of any Christians. In October 2007, 138 Muslim leaders issued ‘A Common Word between Us and You’, a substantive invitation to Christians to dialogue based on the commandments to love God and love one another, found in the Bible and the Qur’an. The problem is that no such thing exists in the Qur’an. Love in the Qur’an is just an attribute rather than a part of God’s very essence (as in “God is love”, 1 John 4:8). The concept of love of neighbour does not exist either. There is only love for fellow Muslims, who, for example, are told in 5:59, “Take not the Jews and the Christians for your friends”, and in 9:29, “Fight those who believe not in Allah or his Apostle, even if they are the People of the Book [Christians and Jews] until they submit”.